The Central Council of Church Bell Ringers (‘the Council’) was founded in 1891 and is a registered charity, no. 270036. Its address is that of its Honorary Secretary for the time being, namely 11 Bullfields, Sawbridgeworth, Hertfordshire, CM21 9DB. The constitution and conduct of the Council is governed by its Rules. The Council’s bankers are Lloyds TSB, Westminster House Branch, Dean Stanley Street, London, SW1P 3HU. Its Independent Examiners are Mr J D Cheesman and Mrs W E Godden. At the close of the Annual General Meeting on 4th June 2012 the Council’s membership comprised five Life Members, 10 Additional Members, seven Ex-officio Members and 199 Representative Members representing 65 affiliated societies. One Life Member was elected at that meeting; two Additional Members retired, were re-elected at that meeting and took office. Since then two Life Members and two Representative Members have died. A Representative Member was elected to fill the vacant representative post arising from the election of the new Life Member and one of the vacancies caused by death has been filled. Three Representative Members have resigned and two of these vacancies have been filled. Subject to any further changes, at the start of the 2013 Council meeting there will be four Life Members, ten Additional Members, seven Ex-officio Members and 197 Representative Members. There are three other vacancies. (vii) To assist in the provision, restoration, maintenance and transfer of church bells. The work of the Council in pursuing this object is for the most part carried out by its sixteen committees and by working groups appointed by them. Summaries of their activities during 2012 are given in the committee reports, which appear elsewhere on the Council’s agenda and are being published in the 26th April 2013 issue of The Ringing World. The public benefits from the following areas of activity of the Council: the promotion of public worship by the ringing of church bells, the preservation of the tradition and heritage of change ringing, the encouragement and promotion of high standards of ringing and providing financial and specialist knowledge in the support of belfry repairs and maintenance. The Accounts for 2012 show Total Funds at the year-end of £391,286 of which £223,542 is in Restricted Funds. The income for the year totalled £55,823, compared with £41,926 in 2011. The 2012 figures include further donations for the Christchurch Cathedral New Zealand bells restoration and, in the Publications Fund, sales of the new edition 10 of Dove’s Guide. The Trustees have the power to invest money and adopt such measures as seem to them necessary in the interest of the Council. They do not have any power to borrow money. It is confirmed that the Council’s assets, together with the expected income for 2013, are available and are likely to be adequate to fulfil the object of the Council in that year. (i) General Fund - the balance on the General Fund is invested to produce income which, together with member societies affiliation fees, provides sufficient funds to support the work and activities of the Council. The balance also facilitates cash flow and enables the development of new projects and initiatives. (ii) Education Courses - the balance provides cash flow to enable the Education Committee to run various training courses, in general the costs are recouped from attendees. (iii) Bell Restoration Fund - the balance is fully allocated to bell restoration projects and paid on satisfactory completion of the work. Grants are made in proportion to the types of applications received and in accordance with priorities agreed by the Council and reviewed annually. (iv) F Dukes International Bell Fund - Grants from the Fred Dukes International Bell Fund are made in accordance with the terms of Mr Dukes’ legacy. Grants are awarded from the interest on the legacy and reviewed annually. (v) Publications Fund - the balance represents the stock of publications held and a cash balance to facilitate the production of new titles and the reprinting of existing publications. (vi) Library Fund - the balance represents the value of the library which is maintained for use by council members and affiliated societies. Funds are invested in low risk investments and bank accounts. The need for regular income from investments is considered important to support the work of the Council. No significant fund-raising activity has been carried out during the year. The Council had no employees during the year. All of its work is carried out on a voluntary basis. The accounts have been prepared under the historic cost convention and in accordance with applicable accounting standards and the Statement of Recommended Practice on Accounting by Charities. The accounts have been drawn up in accordance with the going concern, accruals, consistency and prudence concepts. Interest is accounted for when receivable. Donations, grants and legacies are accounted for as soon as the Council is notified of the legal entitlement and the amount due. Expenditure is included on an accruals basis. Grants are accounted for when paid over. The accounts are prepared on a consistent basis with the previous year and in accordance with the accounting policies. The General Fund is unrestricted and includes designated funds raised and held for a particular purpose. The Education Courses Fund and Publications Fund are unrestricted designated funds. The Bell Restoration Fund, the Fred Dukes International Bell Fund and the Library Fund are maintained for restricted purposes. There were no transfers between funds in the current year. The major tangible assets of the Council are the Investments in National Savings Income Bonds and the Library Collection. The Library Collection is valued at a replacement cost of £105,200. The revaluation was undertaken by J M Farringdon at March 2009. The policy is to revalue the collection every five years. It is being depreciated for accounting purposes at 2% per annum. An asset register is maintained for other tangible assets. The policy is to treat assets of an individual cost up to £1,000 as fully depreciated in the year of purchase. The major intangible asset of the Council is the copyright of Dove’s Guide. Further donations were received in respect of the proposed new volume of the Roll of Honour. This is included in the General Fund as a designated item and, together with the related gift aid, amounts to £441. Donations were received in respect of Christchurch Cathedral New Zealand bells restoration following the damage caused by the earthquake to the City of Christchurch. This is included in the Bell Restoration Fund as a restricted item and, together with the related gift aid, amounts to £4,922. A grant was received from the PRS for Music Foundation for a new music composition to mark the 2012 Olympic Games. This was one of only 20 pieces selected by the New Music 20x12 project to be performed throughout 2012, particularly for Olympic related events. The Fred Dukes International Bell Fund awarded two grants totalling £1,300. Three grants were paid during the year. The Bell Restoration Fund did not award any grants in 2011. Five grants, awarded in 2010, were paid in the year. There were unfulfilled charitable commitments at 31st December 2012 in respect of four grants totalling £6,222 awarded but not yet paid by the Fred Dukes International Bell Fund, and three grants totalling £3,700 awarded but not yet paid by the Bell Restoration Fund. There is also a charitable commitment to Christchurch Cathedral New Zealand bells restoration in respect of donations received but not yet paid amounting to £10,112. Storage and distribution cost of £2,300 was paid to Council members. There were no payments to Trustees. The Council had no employees during the year. Since the 2012 Council meeting the Committee has met twice in London, in October and March. The Committee has continued its practice of reviewing the work of Council Committees and received presentations from the Publications Committee in October and the Information and Communications Technology Committee in March. In March Committee chairmen advised which members would be retiring under the provisions of rule 14 15 (i) and the committee sizes needed for next year. The arrangements for the 2013 Council meeting were discussed and agreed. Papers for the meeting will again be circulated electronically to those Council members with email. Change Ringing for the Future: the Vice-President chaired an inter-committee forum on the recruitment, retention and training of ringers, continuing the work of the Wellesbourne conference held in 2011. A summary of their work to date is given below. It is anticipated that a fuller report from the forum and background papers will have been made available to members on the website by the time of the Council meeting for discussion at that meeting. Council Finances: the General Fund was reviewed at both meetings, but with interest rates remaining low, expenditure continued to be greater than income. The level of the affiliation subscription was reviewed and, given the continuing structural deficit, the Committee recommended that the affiliation fee be increased to £30 per representative with effect from 1 January 2014. A motion appears on the agenda. Appointment of Independent Examiner: during the year Richard Wallis indicated his intention to resign as one of the Council’s Independent Examiners. The March meeting confirmed the appointment of Mrs Wendy Godden to serve the remainder of the term of office. Application for affiliation: an application from the Barrow and District Society has been received and recommended by the Committee. Rolling committee elections: the Committee reviewed the operation of rolling committee elections after the rule changes approved in 2008. Members agreed that it was too early to draw firm conclusions from the experience to date and that a further review would be held in several years’ time. Road Show 2014: the Committee accepted the proposal from the Public Relations Committee that the next Road Show be held at Newbury on Saturday 6 September 2014. Church Buildings Council (formerly Council for the Care of Churches) & English Heritage: a meeting was held on 25 June 2012, attended also by the Committee for Redundant Bells. The main topics for discussion were metal thefts and the problems of bells in closed or closing churches. The Committee agreed that the Council should join the Alliance to Reduce Crime against Heritage (ARCH). The next meeting will be held on 17 June. The 2013 DAC bell advisers’ conference will be held in York on 4 June. Ecclesiastical Insurance Group (EIG): The next meeting with EIG to discuss matters of mutual interest will be held in April 2013. The minutes will be published in The Ringing World. During the year a forum has been considering the rôle of the Council, its respective committees and the Ringing Foundation in respect of future recruitment, training and improvements to both the standard of ringing and public image of the Exercise. The forum, stemming from the Wellesbourne conference, comprised the following Council members: Elva Ainsworth, Mike Chester, John Couperthwaite, Roger Booth, Peter Dale, John Harrison, Norman Mattingley, Chris Mew (chair) and Pip Penney. Meetings were held in London and there was a teleconference and extensive exchange of email. The outcome of the deliberations is a programme of initiatives starting later in 2013 with regional meetings to have two-way dialogue with local ringers and societies. This will be followed with a review of communication within the Exercise and outwardly to the public, a review of the operation of the Council with a view to improving its effectiveness in supporting local activities and ways in which ringing can be marketed to the public. Conflicts of interest can arise, or be perceived to exist, where members have a financial or other business interest in an organisation that operates within the arena of bellringing, hanging, manufacturing, restoration or maintenance of towers and bells, as well as other areas such as publishing or IT, referred to here as bell-related trades. A business interest of this sort does not preclude Societies or the Council from electing such members to represent them or to hold office within the Council. However, for the avoidance of any possible misunderstanding, members are asked to follow this guidance. The Council shall maintain a Register of Members Interests. All Council members shall advise the Hon Secretary of any financial or other business interest they have in any bell-related trades. In the event of uncertainty as to whether disclosure is needed, disclosure shall be made. The Hon Secretary shall circulate the Register of Members Interests to the Council Officers and Committee Chairmen. During the conduct of Council business, such as (but not limited to) the Council’s annual meeting or committee meetings, members with such interests shall always declare any relevant interest in any proceedings. Any concern arising from an interest not being declared shall be referred to either the President or the Vice-President who shall resolve the matter taking such advice as they consider necessary. We continue to maintain and enhance the Council’s website and to prepare for migrating it to the Joomla! content management system. On behalf of the Biographies Committee Stuart Piper has added over a hundred new biographical records together with other addenda and updates. Stephen Nash has advised the Dove’s Guide team on database issues. Andrew Craddock (consultant to this committee) continued to maintain post-1989 peal data for the Felstead database on behalf of the Peal Records Committee, and provided the Biographies Committee with peal data for deceased ringers. Paul Johnson of the Library Committee and Richard Allton, Chairman of the Peal Records Committee, continue to maintain their respective sections of the website. Except for Dove’s Guide, the remainder continues to be supported by Peter Trotman, and we remain grateful to Aidan Hopkins for his skills and time spent administering our server. For the future Joomla! system, Stephen Nash has developed a draft design and schema of the database, and Leigh Simpson has established a repository for the program code together with a staging server facility to be used for testing as the new site takes shape. Peter Trotman has been heavily involved in learning how best to make use of Joomla! to assist content owners to add and maintain their own material. It is expected that initial tests with facilities for membership and biographical records will commence during the summer of 2013. Meanwhile a very incomplete demonstration of its eventual appearance can be viewed at: http://www.cccbrd.org.uk/ The easy part is the transfer of pages with relatively static textual information, exemplified by the sample pages of the Public Relations Committee shown in this demonstration. A lot more effort will be required to provide easy maintenance for the more complex pages which are dependent on changeable data such as contact information, Committee and society memberships, and biographical information. 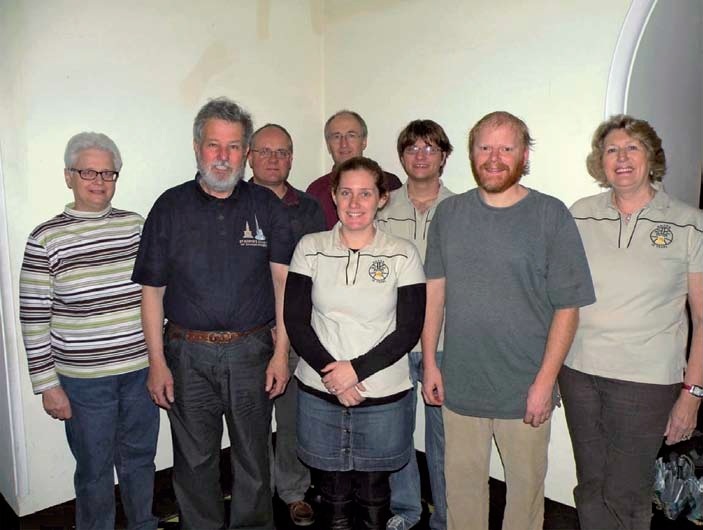 The Committee is focused on the “Outreach Day” to be held on 23 February 2013 at Wellesbourne, which has been well advertised in the ringing media. It promises to be a lively day with three speakers, who regularly contribute articles to The Ringing World (i.e. John Eisel, Chris Pickford and Chris Ridley), plus time to buy/sell/share treasures and gossip. This will be the first chance to examine a range of *surplus books from the Council Library, which are to be offered for sale by auction during 2013 (e.g. bound volumes of Church Bells, Bell News and early RWs, plus 50 other items, including county books and early texts). Alan Glover, Library Steward, is managing the auction. Details will be published in The Ringing World on 1 March. At the time of writing this report, John Eisel was at an advanced stage of preparing the text of the next volume of newspaper extracts for publication. This will be called Order and Disorder in the early Nineteenth Century. 1800- 1829. The book will be about the same length as the first volume, and it is expected that it will be published about the middle of the year, possibly in time for the Central Council meeting. Ringing World DVD Volume II 1941-1970. Unfortunately, Paul Johnson has experienced various problems with the scanning process. The revised plan is to have the DVD available for sale at the 2013 Council meeting in Guildford. Our other publications continue to sell well, including the Supplement to Order and Disorder in the Eighteenth Century, Bell News DVD, the two Ringing Periodicals CD and the Library Catalogue. See the CCCBR Library Committee website, including special prices for Friends. At the Chester Council Meeting the Library Committee was asked to refer to its accounts in its annual report. The accounts are submitted to the Council Hon Treasurer and, following checking by the independent examiners, appear in summary in the Council’s accounts. They are also published in the annual Newsletter for the Friends of the Library, whose subscriptions fund projects such as printed publications and DVDs. Copies of the accounts are available on request from Ian Self. Two committee meetings were held in March and October. We are pleased to welcome Jenny Lawrence (Hereford D.G. ), who joined the Committee at the Chester Council Meeting. The “Outreach Day” will be her first opportunity to meet the Committee members. Greg Morris has been assisting the Library Steward by cataloguing items of correspondence and ephemera. Several people kindly offered to assist with converting our stock of old recordings held on records, cassettes and videos to DVD. We hope to progress this work in 2013. We thank the Friends of the Library for their subscriptions, which endorse the work the Library Committee undertakes. Also, the eight Friends who have taken up the offer of Life Membership - this is most encouraging. Ian Self is the Friends co-ordinator. John Eisel kindly wrote his 20th Essay for the Friends entitled “The Gothic Traveller” - earlier essays can be read on the committee’s website. The Steward has concentrated on getting better acquainted with the collection and how it could be more accessibly catalogued. During 2012 sixteen items were borrowed and 116 queries were dealt with by sending scans or written replies. In May, a book which had been borrowed in July 2006 was finally returned. There are now no overdue books. Early in the year we heard that the firm in Worcester which had done the Library’s binding and maintenance work was to close. Luckily, the principals have set up again as The Binding Place in new premises and continue to offer helpful advice, good workmanship and reasonable prices. We have been able to have eighteen volumes of reports and six volumes of newsletters bound, together with fourteen other items (of which ten were volumes of the copy of the Trollope manuscript). The bindings of four items were repaired. We were offered the peal book of Edward Hadlow by Richard Berthelsdorf in America. This turned out to be the tower peal book for Gravesend, St George, from their recasting in 1923, rather than a personal peal book. After discussion, and after receiving assurances about its storage and accessibility, it was agreed that it should be passed on to the Kent County Association. This was done at the Council meeting in Chester. Chris Rogers brought various items from his father’s collection along to the Council meeting in Chester. The most splendid was the original of the London County Association membership certificate, designed and drawn by E. A. Young. This has been remounted, re-glazed in its original frame and hangs in the Library. In addition to the annual reports which we have received, 92 items have been added to the catalogue in 2012. We are most grateful to those who have donated books, articles and manuscripts. The Methods Committee has met once face-to-face this year and has corresponded throughout the year via an on-line mailing list. Our principal task is to advise on questions arising from the technical Decisions of this Council, and in this rôle we have proposed an amendment to the Decision on Record Lengths as a result of peals rung at Cambridge in June. As in previous years the Committee has maintained the methods pages in The Ringing World Diary. This year we revised the touches of Grandsire and Stedman Cinques, as well as making a few other changes in conjunction with the Compositions Committee. This means that we have now revised all the methods-related pages in the Diary. There was some discussion in The Ringing World during the year about the traditional “Standard 8” surprise major methods and the reluctance of ringers to learn anything more, once they have mastered them. We are therefore planning to add some further treble dodging major methods to the Diary. We hope that this will encourage 8-bell bands to widen their repertoire. The number of methods that have been rung and named has now passed the 17,500 mark, and details of all these methods can be viewed in the Central Council methods collections at www.methods.org.uk and are also available in text and XML file formats. Once again, we would like to record our thanks to Tony Smith for keeping these collections current. They provide an invaluable resource for ringers and Tony updates them on a weekly basis. The Committee is working on a revised description of method extensions, and sees a need for resources that will appeal to technically-minded ringers, particularly younger ones. We would welcome suggestions and contributions in this area. Throughout the year we have continued to answer a regular stream of enquiries about method names, Central Council Decisions and other matters received on the committee’s email address: methods@cccbr.org.uk. Finally we would like to pay tribute to Roger Bailey, who was a member of this Committee from 1990 to 2009. We benefited immensely from Roger’s knowledge of ringing, and his presence livened up our meetings enormously; he was never slow in voicing his opinions on technical matters. He also did a lot of work for us typesetting the methods pages in the diary. We have recorded a total of 5100 peals rung in 2012 and published in The Ringing World up to March 1st, of which 4368 were on tower bells and 732 handbells. The revised total for 2011 is 5043, an increase of 13. Full details are included in the methods table that accompanies this report. The Yorkshire Association is the leading society with 294, a few more than the next society, the Oxford Diocesan Guild, who rang 241. 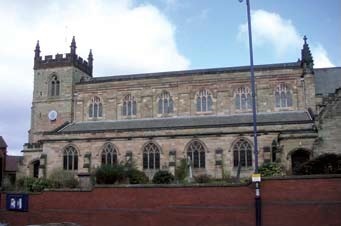 The Chester Guild is once again the leading society for handbell peals with 102. Seventeen affiliated societies rang 100 or more peals in 2012. Please see separate table for details of peals rung for individual societies. There are a number of peals known to have been rung but not yet published in The Ringing World. We would encourage the organisers and conductors of peals to submit their peals for publication promptly, and then ensure that they are printed as expected. There were four record peals rung in 2012, three on tower bells and one in hand, together with a number of other peals over 10000 changes. The record peals are detailed in the Records table below. It was with much regret that we had to confirm that two of the four peals of 10000 changes rung in hand at Cambridge on 16 June did not comply with the Decisions for Record Length peals as detailed below. It was a tremendous effort to ring four such peals, and we congratulate them on their achievement. 10 May: Hurstpierpoint, West Sussex, The Wickham Ring, 5120 Rutland Surprise Major - was rung on dumbbells using a simulator. 15 June: Cambridge, 16 Godesdone Road, 10368 Cambridge Surprise Major - does not comply with Decision D (D) relating to Record Length Peals. 15 June: Cambridge, 16 Godesdone Road, 10080 Cambridge Surprise Minor - does not comply with Decision D (D) relating to Record Length Peals. 22 November: Cambridge, St Mary the Great, 5040 Spliced Maximus - does not comply with Decision D (A)11, as not all the methods rung conform to the Definitions and Requirements given in Part A of the Decisions on Methods and Calls. 10 Amersham, Barrow Gurney, Basingstoke (All Saints), Bristol (Cathedral), Cambridge (Trumpington), East Ilsley, Halifax (St John), Leicester (St Mary de Castro), Liverpool (Pier Head), Northallerton, Ticknall, Walkden. There were also 22 handbell venues where 10 or more peals were rung 2012. We have noted 191 people who rang their first peal in 2012 (159 in 2011) and 35 firsts as conductor (27 in 2011). We congratulate all those involved in these performances particularly where several firsts were included in one peal. These numbers are higher than those for the last couple of years and in the case of first pealers, the highest since 2004, although still significantly below the totals for each of the years 2000 - 2004. It was anticipated in last year’s report that the Diamond Jubilee and London Olympics would be likely to boost the 2012 numbers and this is borne out in the case of the Jubilee by there being 38 first pealers on the four days of the June Bank Holiday weekend. However there were fewer first pealers in July and August combined (12) than the average per month for the rest of the year excluding the Jubilee ones (13) so it is clear that the Olympics did not provide such a boost but in fact reduced the numbers - perhaps everyone was attending them or watching on television! The number of firsts as conductor has fluctuated over the past ten years but the total for 2012 is in line with the totals in recent years so the Jubilee and Olympics had little effect on these. This data is taken from Pealbase and the committee would like to thank Andrew Craddock for his excellent resource. There are a number of alterations to the 2011 Analysis owing to late publication which are detailed below. Corrections relate to tower bells except where specified. The amended methods analysis for 2011 is shown in the 2012 methods table, which forms part of this report. Revised totals for 2011 are: tower bells 4299, handbells 744, total 5043. During the year the work of maintaining the accuracy of the Felstead database has continued. Now that John Eisel has access to a number of eighteenth and nineteenth century newspapers on line, he has been able to supply details enabling some 260 previously unrecorded peals to be added and corrections made to 44 others. Details supplied by other ringers have resulted in a further three peals being added and corrections being made to some 56 others. Alan Glover has been very helpful in answering a number of queries by reference to materials in the library; this has enabled a number of corrections to be made and the committee is grateful to all who have in any way contributed to the accuracy of the database. Judging by the number of notifications that continue to be received and the on-going researches taking place, there is still much to be done before the database can be said to be 100% accurate. Andrew Craddock continues to be responsible for all the data for post-1989 peals and downloads the data regularly from The Ringing World, Bellboard and Campanophile websites; the committee wishes to thank him for doing this important work. Two new members joined the Committee at last year’s Council: Lynne Hughes and Nick Jones. Jackie Roberts has been appointed as a consultant as the Roadshow Manager. Two members are up for re-election this year: Barrie Dove and Bruce Butler. William Dowse does not wish to stand again and Rupert Littlewood has resigned. During 2012 various rôles have continued to be filled. Barrie Dove is Chairman; Helen Udal is Secretary; James Forster is dealing with ‘Learn to Ring’ enquiries and new media; Mike Orme is Radio 4 liaison; Beverly Faber is website liaison; John Harrison deals with leaflets, posters and updates the ‘Things to Ring for’ pages; and Bruce Butler is our international officer. The Committee has met three times in 2012 with much of its work done by email and telephone. We continue to update the Central Council website and submit articles to The Ringing World. We have been looking into having a presence on Facebook and Twitter and working more closely with the Ringing Foundation. The public relations advice pages have been developed by John Harrison to help towers with outreach to the wider community (www.cccbr.org.uk/pr/advice). We have been busy with providing information on 2012’s major events with articles and web support about ringing for the Torch Relay, Olympics, Paralympics, Diamond Jubilee and the Diamond Jubilee Thames pageant. Reports and summaries were supplied every week to The Ringing World. We supported the New Music 20x12 project by producing and supplying leaflets that were handed out at the event held at the South Bank Centre, London. Demand for the Learn to Ring leaflets and the Ring the Changes recruitment posters continues. 12,800 leaflets were supplied. In the future posters will be supplied by the Committee on the same basis as leaflets. They can be found on the Central Council website at cccbr.org.uk/pr/publicity/. This year we received 2-3 enquiries a week and in each case the enquiry has been referred to a suitable local contact. Jackie Roberts has been appointed Roadshow Manager. The 2014 Roadshow is confirmed to take place on Saturday 6th September 2014 at Newbury racecourse. The Committee through Mike Orme has maintained close contact with the producers of this programme with a view to maintaining the quality and variety of recordings the programme airs. New recordings are continually being sought. Recordings were provided for BBC Radio 4’s Food Programme in September. Information on the Notre Dame Cathedral bells was supplied to help with a broadcast about the Cathedral’s forthcoming 850th anniversary. Information was also provided to Radio 4’s Today Programme for their broadcast on the UK’s worst sounding bells! Crowle in Worcestershire and Moseley in Birmingham (steel bells which have since been replaced) featured strongly. Ringing publicity in Australia is in the fortunate position that the focus is very much on the positives - a community of people engaged in a heritage craft which is part of Australia’s British heritage. We have good working relationships with the Australian Broadcasting Corporation (ABC) news and radio, with commercial television and with local newspapers. Internally, Ringing Towers is published quarterly, along with several branch newsletters, and we have begun using Facebook (www.facebook.com/ANZAB.President) to engage with our community and interested members of the public. ANZAB celebrated its 50th anniversary with a well attended and extremely well organised festival in Sydney in June. Publicity included an interview with Bill Perrins and family on ABC Radio National and some local news reports (photo above). The refurbishment of the bells of St Paul’s, Maryborough, was widely covered in local media. This tower, which was for a century the most isolated in the world, is a prominent visual and audible landmark in the town, and it was great to see such a positive response. The Adelaide Ringing Centre at St Peter’s Cathedral received coverage from local and national radio as well as local newspaper reports. The official opening featured a live video link and participation with Worcester Cathedral. There was also newspaper coverage in Worcester of the Adelaide-Worcester ringing centre initiatives. Of greatest impact was the ringing which featured on the nationally televised Service of Carols and Readings on Christmas Eve. Eagle-eyed viewers might have noticed that although the minute and a half of rounds was real, the footage of the ringers actually came from the ringing centre! Totally Wild, a children’s Current Affairs programme, has also recorded a segment for 2014. The Central European Association continued to meet every 2-3 months during 2012, at centres as wide apart as Dordrecht, Holland, and Winterthur, Switzerland. A variety of peals and quarters were rung on hand bells and tower bells, including two peals of 23 spliced Surprise Major at Dordrecht. There are clearly major problems, not only in the amount of travelling involved, but also in the limited number of ringers. Any expatriate (or anyone knowing an expatriate) is invited to send an e-mail to Rodney Yeates at rodney.yeates@t-online.de. 2012 brought good news on several fronts for North American ringing. Throughout the year we saw signs that our efforts to recruit younger ringers are blossoming. This is great news that gives hope to those keenly aware of the preponderance of older ringers in most of our towers. Cathy Brown’s article on the young ringers of Marietta, Georgia documented an established, successful model that has trained scores of youth in our beloved art. The bells are ringing again at Mitchell Tower at the University of Chicago, thanks to college students who expressed interest in the bells, were eager to learn and Tom Farthing, who stepped up to teach them. Then Tony Furnivall’s impressive article on the New York City Schools Project filled the front pages of the June 8, 2012 issue of The Ringing World and the July issue of The Clapper and had people talking on three continents. Tony chronicled obstacles new learners face and techniques he used to surmount them, valuable information for those wishing to recruit young ringers, train them, and keep them engaged. In another major development, Bruce Butler and Tony Furnivall completed the Integrated Teacher Training Scheme (ITTS) this year, participating in a “fast track” crash course in July in Wellesbourne, UK. Accredited mentors and tutors, they are now members of the Association of Ringing Teachers and have access to the vast quantity of ITTS materials. The benefit of their expertise to North American ringers will be enormous. We’ve had some nice exposure from written and electronic media this year. In Vancouver visitors to the tower made a short sound slides video, with photographs and interviews of band members. You can view it at www.silmaraalbi.com.br/work/bells_sound_slides.asp. In addition, a camera crew of Google Street View was enticed up to photograph the tower by Eve Munns. You can enjoy a virtual walk through the Holy Rosary Cathedral and up the stairs to the tower, ringing chamber and belfry at the following link: http://www.earth-scout.com/google-street-view.php?q=holy%20rosary%20cathedral%20vancouver. In the Articles section of the NAGCR website, Don Morrison posted a link to a Patriot Ledger article and video on the Hingham bells in Quincy, MA. It tells of the history and tradition of bell ringing in a North American tower and is great exposure. NAGCR President Madeleine Cheesman posted a link to “Who Rings the Bells at St. James Cathedral?”- a lovely piece in The Grid, a weekly publication in Toronto. New towers in Orleans and Shreveport continue to make strides, with a solid corps of ringers now learning basic methods with expert help by visiting ringers from all over North America and the UK. Another inactive tower, Abilene is no longer silent. They are training ringers and have resumed service ringing. The Three Towers south/southwest regional festival that began a quarter century ago with towers in Little Rock, Texarkana and Houston has grown into the Seven Towers Ringing Festival with the additions of Dallas and Shreveport. At the other end of the spectrum, they’re ringing Surprise Maximus peals at Trinity Wall Street with bands comprised of North American ringers from across the region, e.g. New York, Boston, & Washington DC. It’s a clear sign of the growing expertise and evolution of North American ringers. There is talk of a third North American 12 bell tower at Yale, but it’s too early to tell. Stay tuned. We are growing, and the momentum is building. There is positive news from South Africa. Both towers in Durban are now ringing. Tests were done on the eight undamaged bells at St Mary’s and the bells were deemed ringable, with steps in place to ensure that the first two are rehung soon. After the structural work and waterproofing of St Paul’s was completed, the ringers happily began ringing again. The Durban Guild is grateful for all the support it has received in getting its two towers up and running again. In September 2012 the national AGM weekend was held in Durban. A quarter peal in Bob Minor was achieved during the weekend. The AGM was successful with positive steps put in place for the continuation of the Guild with some changes to the constitution heralding an imminent merging of the Transvaal Guild to the umbrella organisation of the South African Guild. The AGM was enjoyed by all involved. Down here in Africa, our efforts have been concentrated on the formation of the new South African Guild of Church Bell Ringers. This will be an umbrella body covering all ringing in South Africa and has been planned for some time. The new formal constitution was adopted at the AGM in Durban in October 2012 and the next stage is for the Transvaal Society to formally agree to become a Branch of the SA Guild at their AGM in 2013. We face the same challenges as the rest of the world in recruitment, training and advancement, but ringing by the pupils on the new bells at St. Peter’s School in northern Johannesburg is slowly moving forward after the bells were formally dedicated in early 2012 and ringers at All Saints, Fourways Gardens are also progressing. At Parktown, we continue to maintain our unbroken record of 27 years Sunday service ringing. During 2013 we are planning joint ringing days to benefit the ringers at all three of our towers. Johannesburg will host the AGM of the new South African Guild towards the end of the year, date still to be advised, and all visiting ringers will be most welcome. In Durban, St. Paul’s is ringing again now that steeple repairs have been completed and ringing is resumed on the back 8 at St. Mary’s, Greyville pending rehanging of the 2 trebles on new headstocks. The Zimbabwe Guild of Bellringers is delighted to report that ringing recommenced in Harare Cathedral on 16 December, 2012 on the day of the Cathedral Rededication Service. The bells were only chimed on that day, but, following an inspection of the bells, ringing practices recommenced on 12 January, 2013. Many of you will have read the article in the Christmas edition of The Ringing World. 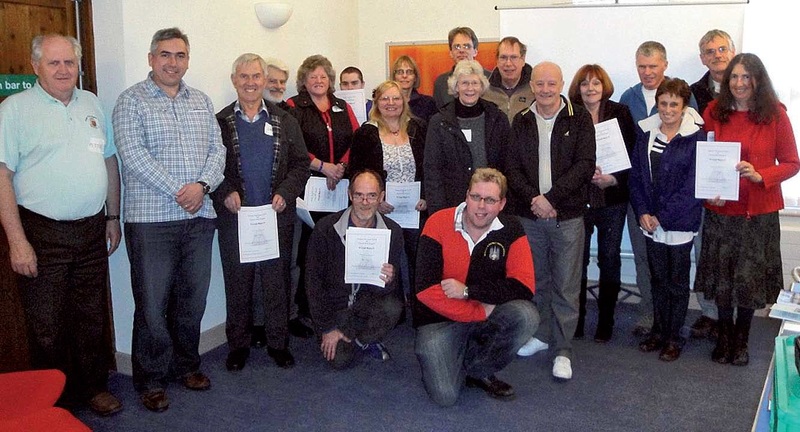 Some of their experienced ringers have now retired to the UK but there is an enthusiastic group of new learners. The tower will need to begin fundraising for new ropes, the cost of which is about six months salary for most of the ringers. Ringing in Kwekwe has continued throughout the year on a limited basis as ringers have moved away in search of jobs elsewhere and it is not easy to find committed new recruits. The Guild would like to thank the Central Council, The Ringing World and all those ringers who have continued to support us. Both towers welcome visiting ringers, especially if you are here for an extended period and can assist us with teaching new learners. One new publication, Dove’s Guide 10th Edition, was produced during the year. Seven titles were reprinted: Towards Better Striking, Listen to Ringing CD1, Listen to Ringing CD2, Service Touches, Conducting Stedman, Teaching Tips, and the Teaching DVD. The highlight of the year was the publication of Dove’s Guide 10th Edition which went on sale in April. This was a major project for us and we would like to thank all those involved for their contributions to the work over several years. In particular we thank Tim Jackson, representing the Dove Stewards, with whom we worked closely and constructively throughout the project, and Philip Green, our printer, for his many invaluable contributions to the production stage of the work. Philip joined the Committee at the Council meeting in May. All those involved were very pleased indeed with the final product and it has been very well received by ringers. The price was set at £15 so as to generate a significant eventual surplus to be passed to the General Fund as instructed by the Council Trustees. The book has sold exceptionally well, with 1,270 of the print run of 2,000 sold by year end. The New Ringer’s Book also sold very well. Three Committee meetings were held during the year, and the usual large number of telephone and e-mail conversations took place. Bulk discounts were offered in March as usual, and advertisements were again placed in a number of association reports. The income from sales rose sharply to £28,700 from £13,900, largely due to the continuing success of The New Ringer’s Book and to Dove’s Guide 10th Edition. Income exceeded expenditure by £9,400. Remaining copies of Dove 9 were destroyed, accounting for most of the £2,600 write-off provision. The value of stock held was £10,600 and the total cash available rose sharply to £23,300 from £12,300. The fund has been returned to a very healthy state. Payments by BACS are accepted and it is expected that payments by PayPal will be accepted in the near future. Derek Jones has again been closely involved with our work in a consultative capacity, and we thank him for his contributions. The Committee met together three times and additionally by email and telephone exchanges. Dr John Baldwin and Alan Frost’s retirement from the Committee at the Chester meeting was a loss of two founding members with many years of experience and wisdom. Tim Jackson and David Westerman are welcome new members. As presaged in last year’s report the Committee’s main concern in the year has been to try and ensure the appropriate future use of bells and bell frames housed in churches that have already closed or are in the process of being closed. The concern is that bells, both rings and single bells, are effectively ‘walled up’ in churches that are given over to secular uses. In some cases planning regulations become effective to prevent their removal. In others the uncertainties and difficulties of the lengthy procedures necessary to be gone through to settle the future of a closed church prevent any effective planning and fund raising to successfully promote a scheme for the re-use of the bells and, possibly, bell frames elsewhere. With these concerns in mind the Committee has lobbied the Church Commissioners and the Church Buildings Council (including the Statutory Uses Committee of the CBC) to try and see what can be done to permit bells and bell frames to be removed from churches to be closed to churches in use or other appropriate places much earlier in the procedures - rather than at the last minute when it is impractical. These discussions culminated in a forum organised at Church House in January 2013 when all the interested institutions were represented along with a good number of ringers having a particular interest and experience in the problem. A summary of the forum debate was published in the 22nd February edition of The Ringing World. Although the results of the forum were very encouraging, particularly the sympathy of the Church institutions to ringers and the problem the ringers have identified, it will take continued effort and application on the part of the Committee to achieve a practical answer. The Churches Conservation Trust was represented at the forum and it remains the Committee’s policy to try and build an effective connection with the CCT in the care and appropriate use of the 110 rings of bells in the Trust’s care. The Trust has shown in the past year that it is well aware of the rings of bells it owns and is keen to see them in use but it has not so far proved easy by any means to find a way of effectively assisting and developing an established communication and co-ordination between the Central Council and the CCT. With regard to the actual placing of redundant bells in other churches and ensuring that the maximum number of bells are kept in use the Committee has continued to work closely with the Keltek Trust which has the resources and the means to deal with this - with conspicuous success. There have been five main items on our agenda during the year. The first was the regular updating of our database to enable us to keep in contact with the various ringing centres throughout the country. We use the returns not only to try to assess the use and effectiveness of the centres with a view to sending Certificates of Recognition but also to learn of their work with the intention that it may be shared with other centres. We are not always advised of changes of address and some returns are outstanding for a time, frequently because of a change of contact details or the times and way in which a centre operates. We do ask that information is given when requested or at least that, if there will be a delay in supplying such, a note is given with a reason for the delay. We include, with the data relating to ringing centres, a note of other centres of ringing where teaching is involved but where such centre may not be capable of being or perhaps has no wish to be recognized by the Central Council as a Ringing Centre. Associated with the compilation of a database is the preparation and distribution of a news sheet (Training Times) which is distributed to the centres (recognised and others) giving information back to the centres of our work, our proposals and interesting items of news from individual centres. We also distribute a copy to Council members at annual meetings but essentially it is produced in electronic form for distribution in that way. We would benefit from more items, photographs etc. but generally we feel that it is appreciated by the centres and does not leave them unsure of the Committee’s intentions. Three editions were produced in 2012. We have questioned our ability to fairly assess the effectiveness and professionalism of centres. We have piloted a simple form intended to be completed by the centres which may give them an indication of how they compare with other centres and the action they would need to take to increase their points score or rating. As centres vary considerable in size, ability and aims we intend to use this information for some sort of comparison for each individual centre on a year to year basis but not for comparison between different centres. The scheme is still in its early stages and may well be amended following completion of a second pilot and comments from ringing centres. We hope that it will also enable us to provide more meaningful information about the activities of ringing centres to the Council and hope that in due course other centres not recognised by the Council would also take part. A ‘Good Practice Guide’ has been compiled throughout the year and although it was not ready for publication on the website by the year end was not far short of it. It is intended that this would be available before the 2013 Council Meeting. It is essentially details of the establishment and running of a number of very different centres which may provide a template for new centres to be opened. We have considered our Terms of Reference and believe that we could be more effective if these were changed. There is a separate paper dealing with the history and work of the Committee but essentially we feel the time is right to provide help and assistance to all centres of ringing and help them to build expertise, teaching abilities and, with other centres, self-help and support, whether or not registered as a Central Council Recognised Centre. It is intended that a proposal as to this will be put to the meeting of the Council at Guildford. It is apparent that other centres of ringing are intended to be formed. We believe that there will be many others (the majority with the backing of local guilds and associations) and that delivery of teaching through a ringing centre is the most efficient way that teaching may be delivered. We wish to encourage the creation of these and provide help and assistance for them as much as may be needed thereafter. As a small committee with limited resources this may not be fully possible but we have yet to see what demand there may be for our involvement. We believe that there is benefit in the Committee being part of a series of ongoing regional conferences on the recruitment, training and retention of ringers possibly in conjunction with the Education Committee, the Public Relations Committee, the Ringing Foundation and the Association of Ringing Teachers. This may however need to be part of the further debate with regard to the future of ringing but we feel that we do need to do more to give information at a more local level than at present and that the supply of such information is not left too long. Although Michael Clements has not been a member of this Committee long we are sorry that his work commitments have led to his retirement during the year. Peter Dale has also indicated that he will not be seeking re-election to the Committee this year and will be shortly retiring from the Council. We thank them both for their respective contributions to the work of the Committee during the periods they have been members. We will miss the valuable and sound advice they have given. We welcomed Guy Morton, Elva Ainsworth and Mark Ainsworth (consultant) to the expanded Committee. Elva provides a vital link between the “Future of Change Ringing” Group and the Trends Committee. Trends Committee members are widely spread geographically so physical meetings have been few with more electronic working. 2012 has been a year of consolidation and expectation. With the Council’s focus on considering the future of ringing, since the Wellesbourne meeting at the end of 2011, the Trends Committee has provided information and data to various groups and individuals as they consider what is to be considered as the “base-line” from which the impact of the developments that are being implemented can be assessed. In considering such developments, it is evident that the lack of any centralised mechanism for recording information about ringers as individuals is hampering more informative data collection and analysis. There are no national repositories about ringers; at a local level in guilds and associations, records are kept according to local custom and practice in a wide range of electronic and even non-electronic formats. Surveys compiled in the recent past have been based on aggregate numbers, rather than any form of census. Trends Committee members are of the view that a more professional and systematic approach must be taken. Members of the committee have started to construct a database in which information and data may be collected that will be informative while conforming to appropriate standards of confidentiality. Discussions are underway with the Council Biographies Committee, ICT Committee and ART / ITTS to ensure that appropriate integration will be achieved with key groups. Local guilds and associations will be key participants; the Council will need to offer strong influence and leadership to encourage and support them in this. There have been no requests by guilds or associations for further use of the pilot survey in the Oxford Guild of towers that have been successful in recruiting and retaining young ringers. This has been completed over the last 2 years and is to be reported in The Ringing World. In specific centres of ringing, the progress of new recruits is increasingly being tracked. Those “sticking” and “leaving” are being surveyed wherever possible. First impressions from school groups show that students inclined towards the analytical disciplines of science and maths and with the confidence and support to do something a little different, are still the ones who are most likely to be attracted and stay longer in ringing. This is reinforcing the message reported last year - “If you want to attract ringers, look specifically in the science and engineering faculties, the engineering / technology companies, the science / engineering institutions of the nation!”. This should be seen as a key feature of marketing campaigns for ringing. The analysis of the membership of university societies reported last year is to be published in The Ringing World. The university society survey has been extended and, combined with feedback from the Oxford survey and elsewhere, is now ready for use with other groups of ringers. It is intended that it will be used for Council Members in May 2013. This could form some of the first data to be entered into the new database. Following the advert in local free paper in Moreton after the Wellesbourne event in 2011, two keen new ringers at Todenham (mother and daughter) are ringing in rounds and changes and progressing towards plain hunt in a suitable nearby tower ringing with a number of others in the same position. Moreton ringers are supporting them occasionally for their fortnightly Sunday services. This has been widely welcomed by the small congregation as it’s about three years since they were last rung for Sunday service. As is often the case other trainees are not showing signs of persistence. Todenham bells will be 300 this year so the goal is a quarter peal of Bob Doubles or Grandsire to mark the occasion. The “Gym Club” in New York had not been a lasting success as most of the students had left. This may reflect the problem that students participate when required to gain the necessary credits for college, but then fail to maintain interest. A similar experience has been reported previously with Scout badges in the UK - ringing was pursued long enough to acquire the badge but then often dropped. There may still be a minor benefit of some awareness raising through such opportunities. Following the brief survey of Cathedral Bishops early in 2012, initial discussions are underway to consider how more systematic and effective interaction may be achieved between the ringers and the church and their clergy, as they are effectively the key stakeholder in the Exercise with all but very few ringable bells being in their care. “To identify, evaluate and record trends of relevance to church bell ringing for the purposes of guiding Council policy”. Three meetings were held during 2012 at Evesham, Loughborough Bellfoundry and Christ Church, Oxford. At the 2012 Council meeting, Peter Bennett, George Dawson, Chris Povey and Bernard Stone retired. Peter, George and Chris were re-elected and we were joined by new member David Roskelly. Bernard has been co-opted on account of our need for his expertise in completing the tower movement study equipment as well as his wide general experience. This still means that we have a very wide spread of members from across the southern half of the country but have no members from north of Nottinghamshire/ Derbyshire. In future elections we would welcome any interest from people in the northern half of the country. During the spring, interested members and other parties met to discuss the way ahead in respect of tower movement study methods and mathematics. It was decided that the Committee should carry out no further studies until it was possible to undertake a comparative study between our “Harry Windsor” equipment and methods and the service provided by the Building Research Establishment. We are aware of at least one significant tower that is contemplating a major re-hang, and would like to be able to provide this service as soon as possible. At the moment, however, the main obstacles to this are the cost of the BRE equipment, even when offered on a ‘special rate’ basis, and the long term nature of planning for large scale restorations such as those being considered. In September, Adrian Semken assisted by George Dawson repeated their Seminar on Tower Inspection and Reporting at Tadcaster. Our thanks go to Stuart Raggett and Bob Cater for making the local arrangements, and to Barrie Dove for starting the day off. It was declared a success by those attending, even though numbers were smaller than hoped, or perhaps because of this. Five tower inspections were carried out by members during the year, and reports presented to the parishes. In addition to this seven minor enquiries from ringers and PCCs were dealt with by phone or email. Following the question on the rope supply situation at the 2011 Council meeting, and several emailed enquiries, Chris Povey penned a short piece in response to these questions which was published in The Ringing World. Peter Bennett and Chris Povey are currently drafting up guidance papers on the subjects of contract management and bird exclusion methods/materials. The long awaited new updated Maintenance Handbook is unfortunately still not quite ready for publication, but we are trying very hard to produce it as soon as possible. Unfortunately, as this report is being written, our member Adrian Semken, who has produced the draft, is in hospital and unable to help for the time being. Nevertheless, we have canvassed all of the major associations/guilds, asking if there is sufficient support for the Committee to arrange one day seminars on basic bell maintenance. In this way we could launch the new handbook as well as, hopefully, fulfil a useful purpose. As this is written, we are receiving some positive responses from around the country. We hope to start to address these needs during the autumn of 2013. During the year we have kept in touch with the Tower Stewardship Committee, with whom we share a number of common aims. We have also spent time in re-examining our Terms of Reference. Any changes to these will be carefully considered. The Chairman completes his sixth year in office in 2014; he anticipates handing over this honour to another during that year. Members celebrated the Committee’s centenary by ringing peals of Yorkshire Major and Royal during the year, the first after the Loughborough meeting and a second after the Oxford meeting (one of our little team-bonding exercises). Throughout the past year, the Tower Stewardship Committee has continued to offer lay guidance in the general areas of tower management within the wider community. This report gives brief details of activities undertaken over the past twelve months. The Committee meets at least once per year, and conducts the majority of its business by electronic communications. The Committee has responded to a variety of queries related to insurance and ringing. Three cases relating to personal injury in belltowers have come to the Committee’s attention. One of these was a spurious “no win no fee” compensation claim, and another related to belfry maintenance activities undertaken by some guild stewards. Related to this latter case, the Committee encourages guilds and associations to consider the inclusion of “member-to-member” liability insurance as part of any policy, and not just cover for third-party injury or damage. We have received a few enquiries in the course of the year regarding best practice for tower management. These have ranged from queries regarding template “tower constitutions” to comments regarding inappropriate standards of dress! A recent topic has been tower finances and HM Revenue and Customs, for which the enquirer was directed to Steve Coleman’s excellent series written for The Ringing World a few years ago. Over recent years, the Tower Stewardship Committee has been particularly active in offering guidance to the ringing community with regard to child protection legislation. Chris Mew continues to be on the front foot in this area, seeking clarifications from central government and the House of Bishops, which he then articulates clearly to ringers through The Ringing World. Chris also assists associations and towers in querying local imposition of requirements that go beyond the requirements of law or policy. An up-to-date version of Guidance Note 3 is now on the CCCBR website. This includes a new statement regarding the rehabilitation of ex-offenders. The Committee has received several enquiries relating to tower safety and risk assessment. In each case, we have responded as appropriate. This has included advice regarding ladders in belfries, handrails and ropes around newel posts, and risks related to telecommunications equipment. The Committee maintains regular contact with the Ecclesiastical Insurance Group. This pro-active communication helps ensure a commonsense approach to tower safety. The very low incidence of claims involving bells and bellringers not only helps to keep insurance premiums down, but is also a testament to a very positive culture of safety awareness among the ringing community. During the year, the Central Council has joined the “Alliance to Reduce Crime against Heritage” - ARCH. This initiative is a “neighbourhood watch” for churches. In particular, we are asked to be vigilant against potential metal theft. Last year the CCCBR Noise Complaints service moved jurisdictions - from the Public Relations Committee to the Tower Stewardship Committee. This move has gone smoothly, producing a synergy between our pro-active advice (how to avoid a complaint in the first place) with our re-active advice (what to do once you receive a complaint). Alan Chantler continues to provide a rapid response service for towers receiving complaints. Alan reports that the enquiries he has received in the past year, of which there have been very few, have not escalated. One tower received much publicity at Christmas regarding curtailment of ringing. Happily, public sympathy was very much on the side of the Church and ringers, rather than the complainant. Peter Trotman continues to assist in keeping an up-to-date and fresh look for the Committee’s work. All Guidance Notes can be found there, along with any supporting documents and guidelines; all reports to Council are there, and contact details of all Committee members. Cross-referenced links are good, enabling visitors to find our material through a variety of links. The Committee also maintains regular communication links with other relevant bodies, such as the Ecclesiastical Insurance Group, the House of Bishops and the Home Office. The Committee is well served by the wide range of skills, qualifications and experience brought by members. Chris Mew has indicated his intention to step down from the Committee in May 2013, due to his increased commitments on the Council. We acknowledge our deep gratitude to Chris for his expertise, tenacity, commonsense and unfailing good humour, and thank him for the many hours he has sacrificed on Committee work. The Tower Stewardship Committee is very open to suggestions and recommendations from all areas of the Central Council regarding our remit, our communication methods and any other component of our work. The Committee met three times in 2012; in London in February, in Chester in June during the Council weekend, and in London in October. During 2012 the Committee said farewell to Jackie Roberts who, having retired from membership of the Council, was no longer eligible for membership of the Committee. Jackie served the Committee very capably for many years, taking responsibility for a number of significant projects during her membership and latterly has been particularly associated with the administration of the Fred Dukes Fund and our FunderFinder service. Jackie was warmly thanked for her many years of service and her expertise and experience will be hard to replace. Chris Rogers was elected to the Committee at the Council meeting in June and John Barnes, Frank Beech and Ken Davenport were re-elected at the same time. Jay Bunyan, Bill Nash, Ian Oram and Peter Wilkinson will stand down at the Council meeting at Guildford in May and may offer themselves for re-election. We continue to maintain contact with parishes and individuals across the United Kingdom, and occasionally from overseas. Mostly, these are requests for general fundraising advice but we are also pleased to receive news of ongoing projects. We had more than 52 contacts during 2012 and these included 32 new contacts. In addition to contact by telephone, email and letter, Committee members also make face to face contact with parish project leaders where such contact is thought to be useful. One such contact was made last year and was much appreciated by the parish concerned. We provide a service for searches using the Ffoenix grantfinding database, the legacy product following the demise of FunderFinder, but this database is not updated so it is becoming less useful as time passes. The Committee does have other sources of useful information regarding grant awarding bodies so we are still able to provide a service to parishes which they find helpful. During 2012 we received 32 enquiries (32 in 2011) and completed 15 searches (16 in 2011). We are constantly looking for other sources of useful information which can then assist us in our support for parishes. Information useful to parishes and/or ringing societies continues to be notified widely through the pages of The Ringing World. Perhaps the most surprising change during 2012, affecting many projects, was the announcement in the Budget of significant changes to the scope of VAT, which, coupled with changes to the Listed Places of Worship Grant Scheme previously announced, means that many projects where VAT would not formerly have been payable (or could have been reclaimed) now have to pay this additional 20% tax. The Committee also brought important changes to the Gift Aid scheme to ringers’ attention via the columns of The Ringing World. 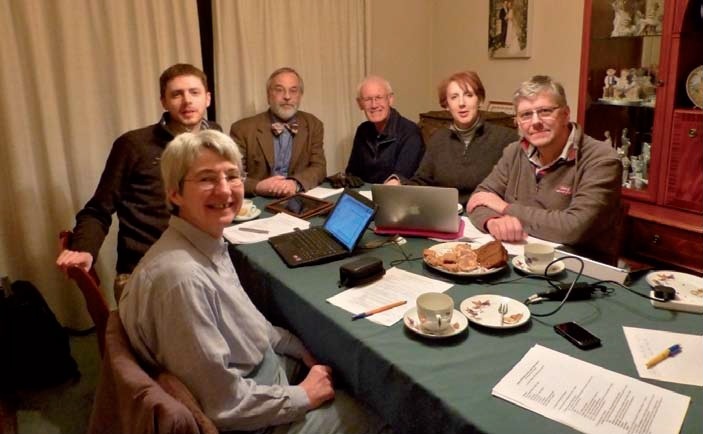 We are very grateful for the co-operation and assistance that the Committee receives from the Editor and staff of The Ringing World in enabling us to bring such matters to the attention of ringers everywhere. We anticipate announcements from the Heritage Lottery Fund regarding changes to their policy for awarding grants and from the Charity Commission regarding a review of the 2006 Charities Act in the near future and we will ensure that relevant information is communicated widely via The Ringing World and the website. The Appendices to Organising a Bell Restoration Project continue to be regularly updated as information changes and new appendices are added as and when required. All of the Appendices are published on the website, regularly reviewed and updated as necessary so ringers are recommended to consult the appendices on the website for the latest, most up-to-date version. Stocks of this popular and useful publication are diminishing so the Committee, working with the Publications Committee, intend to produce a new edition containing the latest Appendices at the appropriate time. In 2010, with the assistance of a generous legacy, we were able to award grants from the Central Council Bell Restoration Fund to 28 projects worth a total of £27,000. Ten of these grants were paid during 2012 making a total of 25 grants paid since the awards were made. These account for £23,300 of the grants awarded. Three of the projects, awarded grants totalling £3,700, are at various stages of completion, including one awaiting just a final inspection of the work. As these projects are all being actively progressed, the situation changes frequently and we anticipate that most of the projects still in progress will be completed during 2013. The Fund has received various donations and income from the sale of jigsaws and Oranges and Lemons prints during the year. We are most grateful to all who support the Fund in these and other ways. Whenever there is money in the Fund, the demand for grants is invariably very heavy and therefore we are always grateful for any donations or legacies. However, the Fund still needs to grow significantly before we will be in a position to invite applications for grants again. We still hold a stock of Oranges and Lemons prints kindly donated by the ASCY and SRCY during 2009. These were offered for sale at the Council meeting in Chester. We will continue to offer them for sale at other suitable opportunities with proceeds to the Central Council Bell Restoration Fund. A new jigsaw was produced in time for the Council meeting at Chester and this was offered for sale at the meeting, proving to be very popular. The jigsaw series has provided valuable income for the Bell Restoration Fund for over ten years and we are very grateful to Stella Bianco for the work that she does to produce these high quality and sought after puzzles. In accordance with the terms of the Fund, the Fred E Dukes International Bell Fund offered the following grants: Adelaide: £300 and Naremburn: £1,000. The following grants were paid during the year: Kimberley, £1,000; Maryborough, £2,000 and Adelaide (St Peter’s Cathedral), £300. Further applications for grants to be awarded in 2013 were invited in November. It has become clear that some of the information on the Bell Restoration pages of the website is rather difficult to follow and out of date in places. We aim to address this in 2013. Work has started to produce a series of Guidance Notes, which will be made widely available, to complement the information already published in Organising a Bell Restoration Project and Appendices. We intend that the first of the series will appear during 2013. As there have been some significant changes to legislation since the publication of Organising a Bell Restoration Project, an update sheet for distribution with copies of the booklet will be prepared. The Committee has arranged a stall for the sale of Oranges and Lemons prints and jigsaws at the Council meeting in May and members will also be available to answer queries and provide advice. It is also our intention to be represented at the forthcoming Ringing Road Show. For several years the Committee has kept an index of towers that have had contact with us. As part of our continuing desire to monitor the effectiveness of our work we are completing an up-to-date map showing the location of each tower on the index. This will, in conjunction with the map we already have showing the location of towers that have received grants, assist us in ensuring that information about our work is reaching all areas. The Committee also intends to write to the secretaries of all affiliated societies, DAC Secretaries and Diocesan Bell Advisors as part of our effort to ensure that parishes which may benefit from our services are aware of the Committee and thus able to contact us for the support and advice they may need. The Committee is continuing to draft articles that will be submitted for publication in The Ringing World from time to time and will also be available to ringing societies and parishes for use, for example, in annual reports, newsletters and parish magazines. 1.1 Restoration or augmentation work to existing bell installations, or the provision of new bell installations, in any country in the World where the bells are, or are to be, hung for full circle ringing. 1.2 Costs of structural and other ancillary work integral to the bell installation will be considered when these are in addition to work on the bell installation. 1.3 Loans or guarantees (when funds allow) to the bell restoration funds (BRFs) of societies affiliated to the Central Council, where the trustees may wish to make offers or promises of future grants in excess of the money currently available in their funds. 2.4 Consideration has been given to the need to include any form of sound control within the project specification. 3.1 High priority will be given where there is an existing band of ringers and the bells are in imminent danger of becoming unringable. 3.2 For augmentations priority will be given to projects to restore or provide a ring of 5 or 6 bells. 3.3 Projects with a total cost of less than £5,000 will have low priority. 4.1 Grants, loans and guarantees will be allocated after advertising in The Ringing World, and elsewhere if appropriate, for applications to be made. Offers will be made and will remain open for two years and then lapse. No payment of a grant will be made until the work has been carried out satisfactorily and the bill presented. The intention is for money in the fund to be used rather than accumulated, but no offers of grants, loans or guarantees will be made if no suitable applications are received. 4.2 As far as possible a balance will be struck so that grants, loans and guarantees are spread geographically and socially, and in proportion to the types of applications received, spread of centres of ringing and any other relevant factors. Also a balance will be struck among grants, loans and guarantees in approximate proportion to the requests received, but with each batch of applications assessed on their own merits. 4.3 Loans or guarantees will be subject to written agreements, with repayments unlikely to be over a greater period than two years, although shorter periods will be encouraged. The BRF’s ability to repay will be assessed before any loans or guarantees are offered. It is not intended that interest will be charged. 4.4 The BRC may consult as necessary before offering any grant, loan or guarantee, including inviting comment from other parties, such as the local society affiliated to the Central Council. 4.5 Appeals against decisions of the Bell Restoration Committee will be determined by the Trustees of the Central Council. Such appeals must be made in writing to the Secretary of the Central Council within 3 months of the initial decision being made and the Trustees will then consider the application afresh. The Committee met twice during the year: during the Council weekend in Chester and at Radley in October. Henry Coggill was newly elected to the Committee in June. Pat Halls stood down as chairman the day before the Council meeting, and managed not to get reelected, but was unanimously co-opted back onto the Committee. Much hard work over the last few years has enabled us to make major inroads into the backlog of former Council members for whom there was no biographic record. During 2012, the number of records published on the website increased from 610 to 749, and more will be added early in 2013. Several rather sparse records have been upgraded with more information. Where small amounts of extra information come to light on a scanned calligraphic record, we add an addendum that appears with it on the website. 93 of the 563 historic records now have addenda. We still print archival copies of new records, but the web is our primary means of delivery. Our aim is to clear the historic backlog of Council members completely as soon as possible, but we may have to accept some very short records for people about whom hardly anything seems to be known. For new records we have moved from the historic pro-forma records to a richer, narrative style. Most of our work is now done digitally. We have agreed a number of policies to enable consistency across the work of different people, and to ensure appropriate quality of digitised images. Researching and writing records continues as a core task (Pat Halls, John Harrison, Pat Hickey, Bobbie May). Searching Births, Marriages & Deaths records (David Willis) provides an invaluable input, especially where identity or dates are uncertain. All records are formatted and printed on archive grade paper (Margaret Oram) as well as on the website. We maintain a record of current and former Council members (Richard Andrew) with date of death or the status of information held (forms, pictures). We receive new information both digitally and on paper. Much of the information we already hold is on paper. We will continue to use both media for the time being. Analysing the membership of Council committees over the years (Brian Hullah). In due course the results will feature on the website, with links between committees and the biographical records of members who served on them. Developing a series of articles on the lives of Prolific Peal Ringers (Bill Butler) for The Ringing World in 2013. These will later appear on the website. We collaborated with the ITC Committee on the specification of facilities that will support our future plans for online biographic information, as well as others, notably the Rolls of Honour (John Harrison and Henry Coggill). We expect to provide further input to the ICT Committee as it moves towards implementing the CMS. We are also grateful to Stuart Piper of the ICT committee for handling the very large number of updates to the website that we generated. We have collaborated with Andrew Craddock (PealBase), with David Willis helping to identify many ‘ringers wives’ and Andrew supplying useful peal records. Chris Kippin helped us by providing much fuller versions of two records for us. We have received some accounts of ringers’ lives considerably longer than our biographic records. We welcome contributions to our work from other people, both as providers of information, and in a few cases as authors of biographic records. We would welcome the opportunity to work with other people who are interested in ringing history, for example those researching the history of their societies, or those who would like to add flesh to the record of someone whose current record is rather thin. Peter John Staniforth, Leicester Diocesan Guild, 1956-1981, attended 19 Council meetings, died 5 February 2012. Harold Walter Rogers, London County Association, 1946-2000; Life Member 2000- 2012, attended 64 Council meetings, died 17 February 2012. Kenneth Arthur, Durham & Newcastle Diocesan Association, 1960-1977, attended 17 Council meetings, died 17 February 2012. Brian Derek Price, Honorary Member, 1950- 1954, attended no Council meetings, died 21 February 2012. Valhalla Vivienne Hepworth Grossmith, née Hill, Zimbabwe Guild, 1989-2004, attended 13 meetings, died 18 March 2012. Anthony John Davidson, Truro Diocesan Guild 1963-1974, attended 11 meetings, died 20 August 2012. Frances Vanora Hereward, Dorset County Association, 2008-2010, attended 1 meeting, died 27 July 2012. Doris Eileen Colgate, Ladies Guild 1953- 1983; Life Member 1983-2012, attended 47 meetings, died 11 September 2012. Eric James Brunger, Norwich Diocesan Association 2011-2012, attended no meetings, died 25 September 2012. Jean Kelly, Ladies Guild 1999-2002 and Lancashire Association 2004-2008, attended 6 meetings, died 9 December 2012. Walter Charles Rose, Gloucester Deanery of the Gloucester and Bristol Diocesan Association 1932-1935, attended 4 meetings, died in 1987 1978. The Compositions Committee held a face to face meeting in Chester and is in regular contact by conference call and email. During the year, the Committee collated for publishing in The Ringing World date touches for 2013, touches for the Olympic Games and Jubilee events, and touches of 1912 changes to commemorate the 100th anniversary of the sinking of the Titanic. Reviews of compositions in The Ringing World included a long length of Glasgow Surprise Major, articles on Pudsey Surprise Major, and computer generated compositions for the Standard Eight. Ringing World Diary compositions were updated in conjunction with the Methods Committee. Currently the main emphasis of the Committee’s work is to maintain and update the web collection of peal (19,863 as at 20 Jan 2013) and quarter peal (1,295) compositions and encourage new submissions, particularly from young and aspiring composers. 432 peal compositions have been uploaded to the website, of which 184 were Stedman. 33 people contributed, but 68% of compositions were provided by just 3 composers. 103 quarter peal compositions were uploaded, 47% Stedman, Plain Bob or Grandsire. These were provided by 17 composers, again with 3 composers providing 56% of the material. The boundaries of change ringing are being pushed further and further, leading to innovative developments in composition, and the increasing use of ‘link’ methods to move to the next section or group of musical changes. Most new compositions are specifically designed to generate little bell runs and/or cyclic runs, some of these including the treble bell. These compositions are musically excellent, but very complex and likely to be rung by small groups of highly accomplished ringers. Recent examples of this include cyclic compositions by Alan Reading, David Hull and David Pipe. Many new compositions are now available with the peal performances on Campanophile and BellBoard and in private web collections hosted by individual composers. Innovative compositions are actively discussed and reviewed on ringing chat and ringing theory sites; therefore additional reviews by the Compositions Committee might be thought to be superfluous. The Committee is therefore looking more to produce articles about specific methods, providing an insight to the method, the history, and some of the composition options available. Any suggestions for such articles or contributions from composers would be welcome. The Committee is also reviewing its terms of reference and how this will impact on future work. to encourage the use of aids in composition. to select, check and prepare compositions for publication in The Ringing World. We wish to pay tribute to the work of Roger Bailey who served on this Committee from 1990 to 2009 (Chairman 1993 to 1999). As ringing colleagues have stated, aside from his humorous reviews of compositions, Roger had an encyclopaedic knowledge of change ringing and will be sorely missed by the ringing fraternity. His contribution to original compositions included a three part peal of Cambridge Surprise Minor and universal compositions of Treble Bob Major which he called extensively in handbell peals. Prior to his illness, Roger was collating a collection of handbell compositions for the committee, and we will endeavour to complete this in his memory. Since the Council meeting in 2012 the Committee has met twice at Wellesbourne in Warwickshire, and joined in one telephone conference call. Under the rolling election procedure Brian Sanders, Geoff Horritt and Catherine Lewis were re-elected for another term on the Committee. Wendy Graham did not seek re-election and Claire Bell resigned owing to family commitments. We welcomed two new members, Susan Laycock (Yorkshire Association) and Tony Furnivall (North American Guild). The Committee now extends its warm wishes to Susan Welch (née Laycock) upon her recent marriage. Arising from the Wellesbourne consultation exercise “Change Ringing for the Future” in November 2011, the Vice-President of the Council convened a forum to examine recruitment and training. This Committee is well represented on the forum whose members are drawn from a broad spectrum of stakeholders in the future of the Exercise. Within that context, the overhaul of our existing courses and material continues, but with the emphasis more towards developing courses for local presentation. The only course presented by the Committee itself was a new version of the Listening Course, designed for use with standard PC software. This was run and tested successfully for the Wirral Branch of the Chester Guild, whose preliminary enquiry was reported last year. The Kent initiative of a course presented in instalments continues to operate, but is now a local enterprise and no longer under the Committee’s aegis. The Mentored Conducting scheme for aspiring conductors has little progress to report. The Committee is still reviewing material for this, as well as for the course on tower leadership as pioneered for the Bath & Wells Axbridge Branch last year. Seven Committee members are ITTS tutors and three serve on the Management Committee of the Association of Ringing Teachers. With such multiplicity of members’ involvements, it is quite possible that our future teaching material may be produced in collaboration with other training agencies. Writing new subject matter is an important part of the Committee’s remit, but we are working with other agencies to source and catalogue teaching material that already exists on ringing sites across the internet. Regarding publications, the first copies of Simon Linford’s book Judging Striking Competitions have left the printers and the book will be on the shelves very shortly. 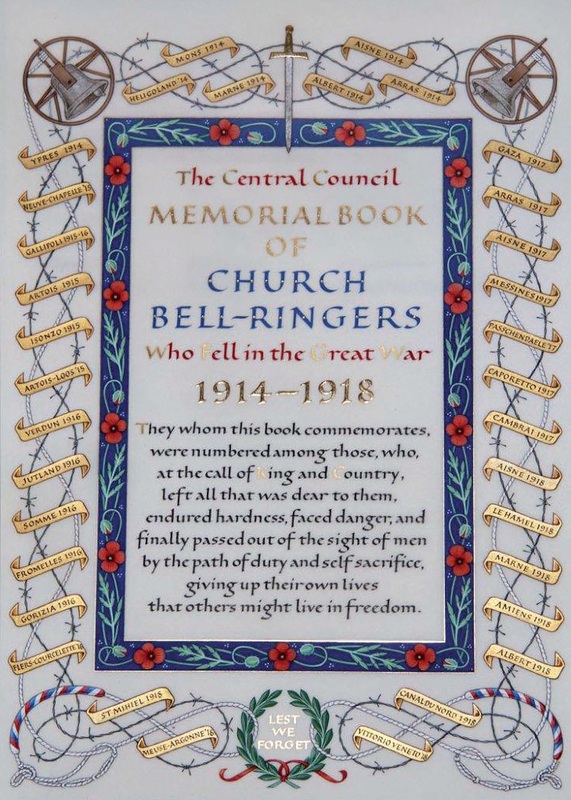 Pressure of other commitments meant that Committee members were unable to continue producing monthly articles for The Ringing World, although the aim is to submit shorter more regular contributions. A compilation of the articles “Learning - what helps, what hinders” by Wendy Graham is currently being formatted and proofread for publication in book form. There is no progress to report on a text for handbell ringing. The series “Learning Together” now appears in the Ringing Practice Toolkit on the Committee’s web pages of the Council’s site and is being revised as a set of shorter items. Rather than trying to overcome printing and distribution problems, it was decided that the wall charts illustrating good and poor handling should also be made available on these pages. A compilation of the wealth of material in the Toolkit is currently being undertaken for publication in printed form, possibly as a collection of separate sheets for duplication. Many people assist the Committee with its work and we extend our thanks to them all. In the coming year we shall continue to work with the Ringing Centres Committee and the Ringing Foundation, and other committees and agencies charged with ensuring the future of the Exercise. The past year has seen no real activity. No requests for demonstrations have been received, and no real work has been done on either Carter or Cummins machines. It is our intention to manufacture some replacement parts for the Carter machine to bring it into full working order, but this has been delayed as my workshop has been unavailable for a significant part of the year due to building work. Alan Berry is intending to step down as Steward in 2014, at the end of his current period of stewardship. At present we have no-one who has shown any interest in becoming involved with the machines and as Bill Purvis is not an active ringer, he will be reluctant to be re-elected unless someone who is a competent ringer is willing to step forward. The two original Memorial Books are kept in their display case at St Paul’s Cathedral; they are in good condition and the pages are regularly turned. The original Great War Book currently records 1,207 names and the WWII Book 300 names. The Rolls of Honour website pages have been updated as additional information is received. I am pleased to report that we continue to identify the Commonwealth War Grave records of a number of those in the original Great War book - at the present time there are just 38 that are unresolved. Special thanks to Kate Pearce of Bradoc, Cornwall who helped identify those remaining ones from the Truro Diocesan Guild and Alan Seymour of Burgess Hill, Sussex along with Margaret Oram of Warnham, Sussex, who helped to identify the remaining ones from their own county. Experiments with adding photographs to the Flickr online photo management and sharing application have continued and it is hoped that links will soon be available to the collection of relevant photographs which continues to grow. The work on the new Great War Roll of Honour book II has now been completed; it is a beautiful work and I am most grateful to Tim Noad, the illuminator, and to Shepherds of Rochester Row, Westminster who bound the book for their skill and craftmanship. An article about the new book appeared in The Ringing World, issue 5298, on 9th November 2012 describing the work in detail. In total just over £4,100.00 has been donated by ringers, towers, societies, guilds and associations, to all of whom I am most grateful. This has more than covered the cost and the balance will be used to write in new names as they come to light. As always I am grateful to ringers and others for supplying information and once again Yvonne Cairns and David Underdown have provided valuable assistance. Through my research and this input the Great War Roll of Honour Book II now contains 95 Names with space for many more. As the 100th anniversary of the start of The Great War approaches I hope that, as ringers, we can commemorate those that rang before us and who made the great sacrifice. I shall be putting together some ideas which I aim to present at the next meeting of the Central Council. Both in our last printed report to Council and at the time of its presentation to the 2012 annual meeting, we indicated that we would be pleased to learn whether there might be someone from the younger generation who would like to join us in order to widen the awareness of Dove’s presence on the internet by venturing into the social networking arena on our behalf. We are pleased to be able to report that a Facebook page was very quickly brought into existence by George Salter and, more recently, Rosalind Martin has offered her help with Twitter. Our thanks go to them for their offers and their enthusiasm, and we trust that their work will be appreciated by those who spend their time in that particular way in the modern world. On 16 July 2012 we received and processed our 10,000th pNBR submission. That indicates to us the interest which our users have shown in this aspect of the Dove website. We are most grateful to all who contributed initially to the setting up of this corpus of data about our rings of bells, made valuable additions subsequently, and those who continue to do so. In the bottom left-hand corner of our Home Page we show just how far progress has been made towards complete coverage, both with regard to the data about just the bells within each ring and also to those plus the others in that tower (e.g., sanctus and service bells and the like). Nevertheless it indicates that we are still far off anything like comprehensive coverage, and we are confident there is more data out there which would be usefully added. Keeping pace with the information flow that is involved in all of this is no mean task: our records show that, taken overall over the course of (more than) the last 4 years, we have made at least 9 changes per day to the information that is displayed on the site, and - more often than not - the website is updated on a daily basis. In the period under review we had a hiccup with dove.txt file availability. It became clear that providing it in such a readily usable format needed to become more formalised. The decision was taken initially to withdraw all access while discussions took place between Council officers and all who are closely involved with the project. Then, a short-term mechanism was agreed upon as just how to make access to it again possible (in which data, after all, the CCCBR has an IPR - namely, intellectual property rights - interest) particularly providing the request was for personal use, and on the explicit understanding that the file would not be passed to a third party, nor a copy asked for on too frequent a basis. A more formal strategy was designed and is being implemented by Sid Baldwin as this report is being written, and is one which involves considerably less human intervention. What we were unhappy about - as would our users, we anticipated - was the possibility that the data could be ‘re-packaged and re-presented’ by another developer within the context of an application which was laden with inappropriate advertising and which would result in them profiting from the extreme hard work of the many who had striven for some years, and continue to do so, to make the Dove data as accurate as possible. We felt that if any income were to accrue from its availability, then it is the CCCBR itself that should benefit. 76% of those using the website had also ‘visited’ the site in the month preceding their visit. The highest number of users that we have seen using the site at any one instant is 14. Peak usage normally seems to occur on a Sunday evening and, equally unsurprisingly, Saturday normally sees the lowest usage during the course of any one week. While these figures almost certainly pale into insignificance in comparison with usage of commercial websites, they make us feel that the effort of keeping Dove and the pNBR updated is worthwhile when considering the size of our community of interest. We are very conscious that there is a reasonable upper limit to the amount of information that should be collected and displayed on the Dove website recognising that this is a very demanding task in terms of the amount of time and constant availability of those involved. For that reason, having added it in June 2012, six months later we retracted from showing the partial tones that had been supplied for a number of the bells in the pNBR. Moreover, continually extending the range of data actually detracts our available manpower effort from other higher priority tasks (such as trying to move away from the use of a DOS-based product for the underlying database in which the data continues to be stored). As in previous years, we are exceedingly grateful to Sid Baldwin and to Ron Johnston for their input and guidance in this very labour-intensive activity on behalf of ringers everywhere. Our aim is to keep each day’s presentation of the data in Dove “the most accurate it’s ever been” and to that end we encourage people to tell us when things change and, if only temporarily, when they revert to normality. Please do check that what we put up on the website actually does match what was intended: it is always possible that we may misunderstand, and also that we may not actually enter everything accurately despite the diligence of Tim Jackson in his assiduous checking of what does appear. The charity is not incorporated. The constitution derives from rules adopted on the 29th May 1979 (amended on the 26th May 2008) and registered with the Charity Commission on the 22nd October 1979. The Charity’s registration number is 278816. The principal address of the Charity is that of the secretary namely:- 8 LEBANON GARDENS, LONDON SW18 1RG. The principal object of the Fund is to advance the Christian religion by the rescue of redundant bells for the purpose of their being re-housed elsewhere for ringing in churches. 2012 has been another year where the Fund was not called upon to make any emergency loans. However, the Trustees did decide that it would be appropriate to fund the rescue of bells or rings of bells not only by means of a direct loan to a PCC concerned but alternatively to the Keltek Trust Bell Rescue Fund where the Keltek Trust was working with the Fund Trustees in securing the future of a particular bell or bells. The Fund Trustees’ decision was that such an arrangement with the Keltek Trust would facilitate a speedier repayment of a loan rather than where a loan has been made to a PCC. In line with this policy the Fund has made a loan available to the Keltek Trust Rescue Fund of £4,500. This has secured the future of a number of individual bells otherwise at risk of loss. These bells are now being incorporated within new or augmented rings of bells. Following on the success of this arrangement additional funding from the Fund’s own resources (rather than by calling on loans) is intended to be provided during the current year. The Trustees of the Fund continue to be grateful to those who nominate the Fund as the beneficiary of ‘EveryClick’ and to those who continue their loan facility. If you have not offered an interest free loan to the Rescue Fund - only to be taken up in case of need - then Helen Webb as treasurer would be very glad if you would.